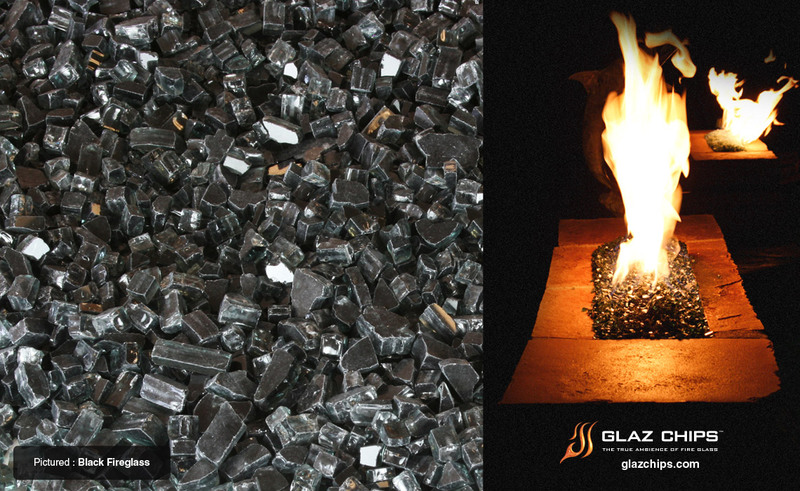 With spring season upon us Glaz Chips Fire Glass has had to put an additional color on sale for the remaining month of March, Black Fire Glass at $3.05 /lb. Originally with Deep Blue Fireglass at $3.05 /lb, Glaz Chips has unfortunately run out of that particular color for the time being. Black fireglass introduces a classy and modern look which has been favored among interior designers. Normally priced at $4.15 /lb or higher, black fireglass makes for a popular color when trying to aim for a maximum contrast in your fireplace or fire pit. Black fire glass is also offered with one of our popular mixes, Black and Gold Fire Glass Mix. If you have seen our inventory of colors and don’t really care much for the bronze, green or blue type of glass and need a modern look that will really pop in contrast then black fire glass is the choice for you. 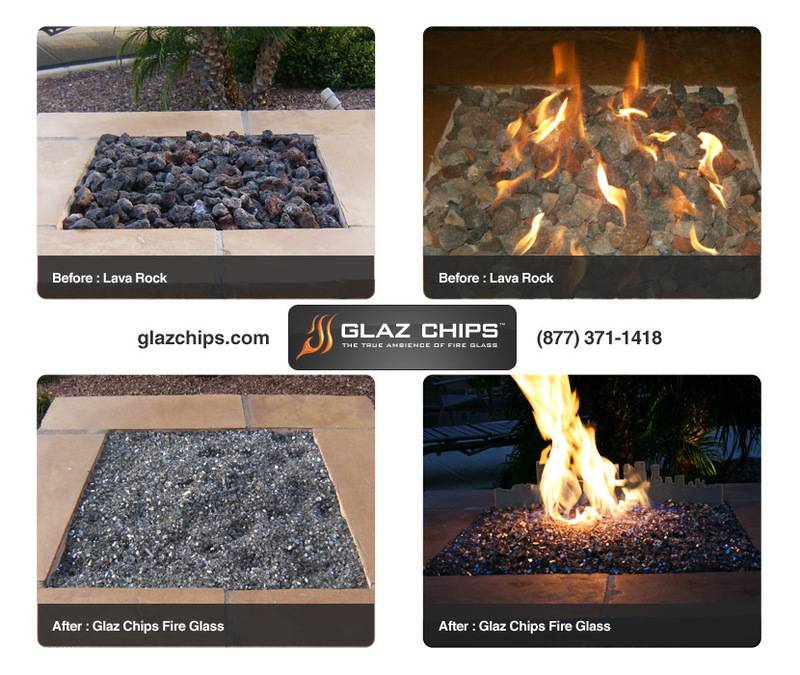 Suppose you’re interested but still hesitant about the new product, you can certainly give us a call toll free at 877-371-1418 or go online at www.glazchipsfireglass.com and request a free sample of black fireglass or any other colored glass crystal of choice. It’s time to start cleaning out those outdoor fire pits or fireplaces and place a product that is beautiful and eye catching for others to see. Enter SOCMED10 at the point of checkout and save 10% … Spring, its finally here!! !